You probably have some tweezers lying around your house and you might be familiar with plucking a chin hair or two. Tweezing can hurt, but it is effective at removing a hair at its root. Tweezing is ideal for a hair or two, but it isn’t really great if you have a lot of hairs you want to remove. Always cleanse your tweezers after you use them and don’t share them with others. Another cheap, common method of getting rid of facial hair is waxing. There are many different wax kits you can buy and do it at home or you can head to a salon to get it done professionally. Waxing is effective at removing hair at its root and can cover a larger section of hair. However, it can cause irritation and be very painful. You will also have to watch for painful ingrown hairs. Shaving is less common on your face for women, but some people still do it. Just be careful not to irritate the area, just like with waxing. Also, forget the myth that when you shave your hair it grows back thicker. It simply isn’t true. Threading is a newer method of removing hair on the face that comes from the Middle East and Asia. It works by pulling a thin cotton thread over the area, pulling out hairs as you go. This is a method you’ll have to go get done professionally because it can be hard to learn. But, it can be more effective than plucking and less painful. 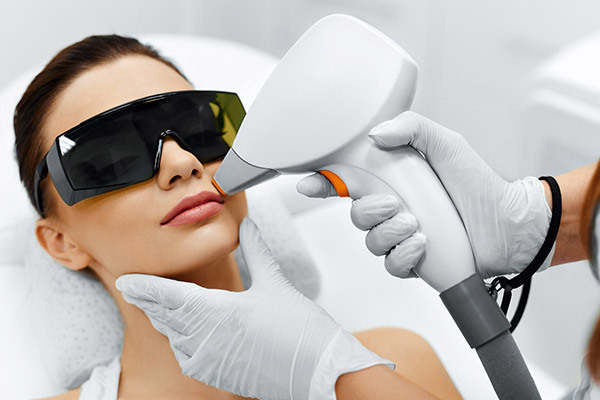 If you want to spend a little more cash, but want permanent results, laser hair removal may be for you. It will likely be painful and take around six treatments, but the results could last for many years to come. It works by lasers shooting light that destroys the hair follicle. Electrolysis is another permanent option and works better for light or fuzzy hairs. It destroys one follicle at a time, so this is probably a better option for facial hair. How do you remove hair on your face? Which is your favorite method? If you found this article interesting, please share with a friend, especially if they are looking into facial hair removal options!